Isle of Wight based Solution Provider and Software Development Company MyCRM has today announced its growth plans for 2018 and 2019. MyCRM provides a range of business services around the implementation and support of Microsoft® Dynamics. Now in its 9th year of trading and with continued growth, MyCRM are once again expanding the UK based operations. MyCRM offer four distinct services and have a combined knowledge of over 50 years from setup, configuration and business processes to in depth technical integration and bespoke software build. The company has a single approach and this is “Customer First, not technology”. As part of the MyCRM growth strategy for 2018 and 2019 a number of new roles have been created and MyCRM is very proud to announce that veteran Business Solutions and Head of CRM, Mike Spink, has recently been appointed to move the sales, partner and customer first strategy forward to the next level. Mike, when asked said; “I have witnessed first-hand MyCRM go from strength to strength over the years and have worked in partnership with Alistair in helping deliver the best CRM solutions to a number of key customers. I have seen MyCRM succeed where many other CRM partners have failed and now relish the opportunity to work for a well-structured organisation that plans its approach and engages customers in an honest and truthful manner, something that really is a breath of fresh air. What this opportunity means for me is that I now know that I have an amazing team to support me when discussing projects and the right approach with our customers. The knowledge and expertise throughout MyCRM gives me great confidence that we will continue to deliver great value by delivering what customers actually need. MyCRM also have plans in the next 18 months to launch a new comprehensive global partner and reseller program for its subscription solutions and download products. When asked about the product solutions Alistair went on to say “MyCRM is not just about reselling a CRM offering, we build and sell pre-packaged components that can either be subscribed to or downloaded. This makes the team very versatile and skilled and there are still about 12 new solutions on the future MyCRM road map”. 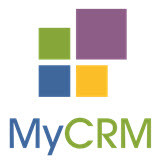 MyCRM is now in its 9th year of trading and has seen continued growth and profits. We continue to innovate, design and work with customers around the globe to offer a unique friendly and honest service. MyCRM is a privately owned limited organisation registered and based in the UK, with customers in 27 countries around the world.